Have you ever been travelling abroad, given a thumbs up to one of your friends or family, and gotten dirty looks from the locals? That's probably because the gesture basically means "up yours" where you're visiting. The same thing goes for the reverse peace sign; one mistake in the direction your fingers are facing and all of a sudden you are insulting everyone around you. You never know what might be considered rude or downright offensive when you are travelling, which is why it is always important to do your cultural research before packing your bags. What is okay in your hometown might not be quite as accepted on the other side of the planet. Remember, if you are ever doubtful of the meaning of a gesture, you are better off not making it at all. Every new place you visit has different expectations and social signs that you might not be aware of. Here's some to consider. The OK sign is the one where you put your index finger and your thumb together making an 'O' shape, with the three left over fingers sticking out. 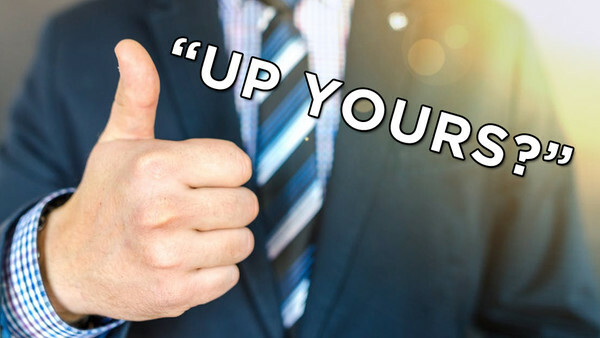 You might think you are saying, "I am doing great!" or "Everything is A-OK!" but be careful where you flash this one around. If you happen to be in France, you are telling the person that they are worthless. This can be explained by the fact that the circle you are forming with your fingers represents the number 0 - in other words, nothing. Ouch. In Venezuela and Brazil, this gesture is meant to represent a concealed body part, and is also considered a homophobic insult in Turkey. 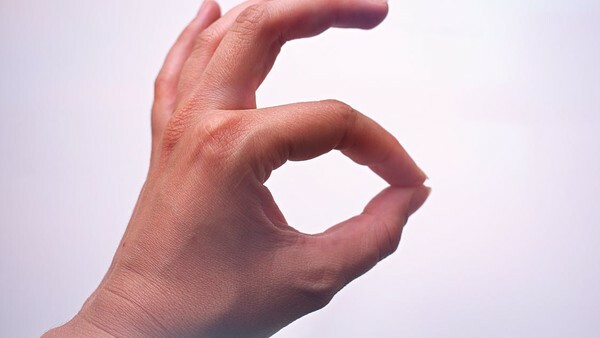 The circle that you form with your fingers in these places represents an obvious area in the lower regions of our bodies and the interpretation of whether you are calling someone an a-hole or being homophobic is up to the context.